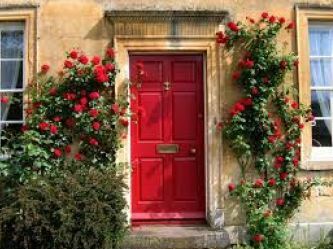 Welcome family and friends with a fantastic red door! The foyer sets the tone for the rest of your home. It’s the perfect place to showcase gorgeous wallpaper. 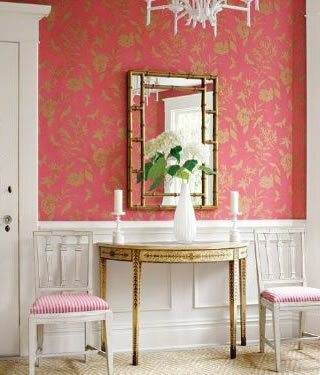 Here, the gold gilt console table and fabulous bamboo mirror are a lovely compliment to the gold and pink paper. 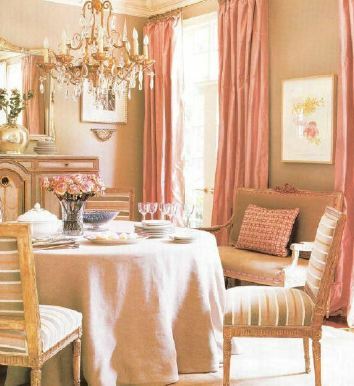 The white wainscoting offers relief from the pink which otherwise may have overwhelmed the space. 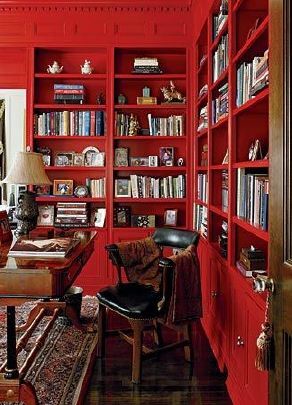 The wall to wall red bookcases in this study are absolutely stunning. Why play it safe with stained built-ins when daring red can really pack a punch!?! The Dining Room is a special place where we celebrate life’s beautiful and memorable moments. While the color palette is soft and subtle, the rich layers of fabrics and finishes are deeply nuanced, creating an inviting space. 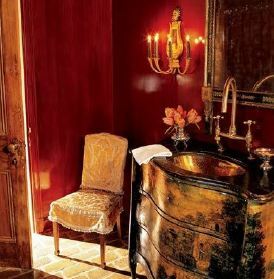 This Powder Room is truly a Jewel-Box, with the exquisite red lacquered walls, gold gilt and black accents and the charming silver pieces. While necessity is the mother of invention, imagination inspires creativity and self-expression. It would be my pleasure to assist you in creating a beautiful home. Serving Chicago and surrounding suburbs, at Vanessa Nunley Designs, I embrace the Art of Making a Home; creating spaces that are gracious, elegant, beautifully appointed and comfortable. It is important to me to learn about your greatest dreams and desires for your home, allowing me to help you develop and interpret a personal style that reflects the way you live. 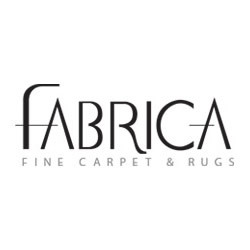 Drawing on fifteen years of Interior Design experience, together we will transform a concept and vision into a stunning reality.